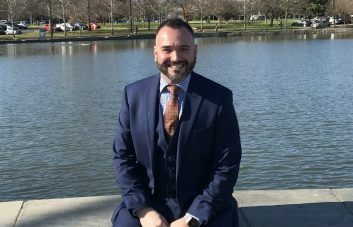 Few things instill panic in a man like hearing the words “white suit”. Forget about the need to constantly be aware of spills, messy food, and sticky fingers—how do you wear it and what do you wear it with? 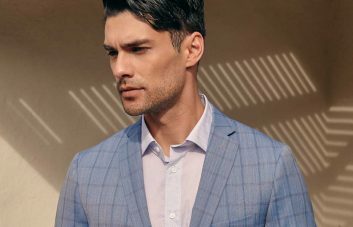 Although few occasions require a white suit, knowing how to wear and style one is important to be prepared when the occasion arises. 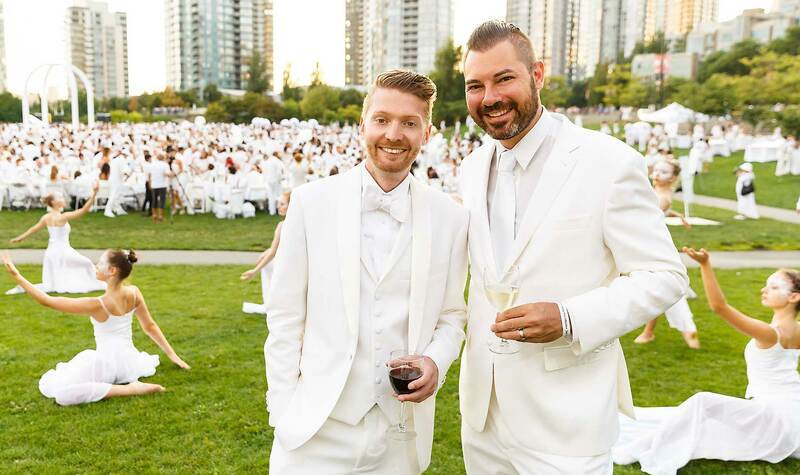 Unless you are a regular attendee at Diddy’s famous White Parties, you may not need to don the white suit frequently, but it is a great look to have in your arsenal when it comes to summer weddings and events like Dîner en Blanc. 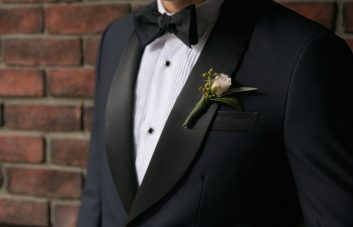 The “no white” rule only applies to women at weddings, so a white suit is appropriate if you are willing (though check with the bride and groom if you’re unsure). Formal picnics, boat cruises, and evening parties are also great opportunities to work the white suit. However, do pay attention to the overall dress code—you don’t want to be in white coattails when everyone else is in their bathing suits. Give your white suit more showtime by mixing and matching the pieces with other great clothing items in your collection. This gives you the chance to wear your white pieces beyond the summer and into the fall season (even after Labor Day). Pair your white suit jacket with a basic tee and distressed slim-fitting jeans for a more casual yet put-together look. Or style your white trousers with a blue linen blazer and white shirt for another semi-casual option. There really is no reason to fear the white suit, especially with so many different options to wear it. Dare to be different and sport one this summer. 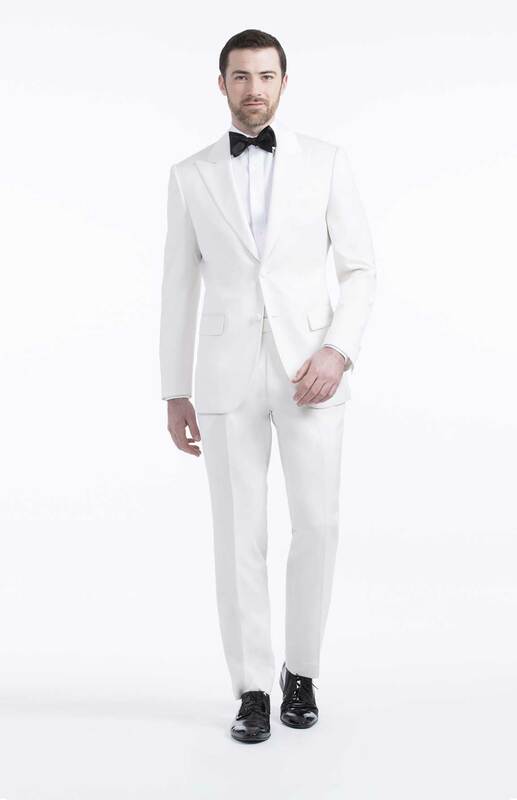 Check out our custom white suits and perfect your summer look.